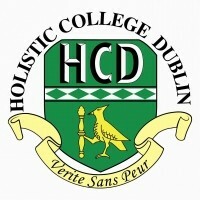 Holistic College Dublin HCD is renowned for the most comprehensive, cutting edge holistic massage courses and programmes in Ireland. We provide professional courses and training in a wide range of holistic therapies from foundation courses to the most advanced therapeutic training in Ireland. All of the holistic massage courses and training programmes at Holistic College Dublin are recognised for excellence in training standards and superb exam results! Our tutors are trained in Holistic Massage, Yoga Teaching, Healing Therapy, Reflexology, Aromatherapy, Beauty Therapy, Fitness Instruction & Personal Training, Remedial and Sports Massage, Indian Head Massage, Seated On-Site Massage, Pilates Instructor, Dr Vodder s Manual Lymph Drainage (all levels), Neuromuscular Therapy, Prenatal (Pregnancy) and Post Partum Massage, Stone Therapy and Occupational First Aid and more. Holistic College Dublin is a registered provider for F.E.T.A.C. and I.T.E.C. awards. For more information about holistic massage courses at Holistic College Dublin, view our courses listed in the Nightcourses.com Course Finder below or contact us via the details below.